TownerFan had the most liked content! It's pretty amazing to realize he wrote such a joyously elaborated piece of symphonic music that probably will be treated just as background muzak most attendees won't even notice. Talk about dedication to his own craft. The aesthetic arguments about building tension and then letting it release (especially during a climactic sequence like this one) are of course always legitimate and solid when it comes to spotting. And it's also true that the original Star Wars was/is still a movie largely influenced by the aesthetics of 1970s filmmaking, where music was sparsely spotted more often than not. 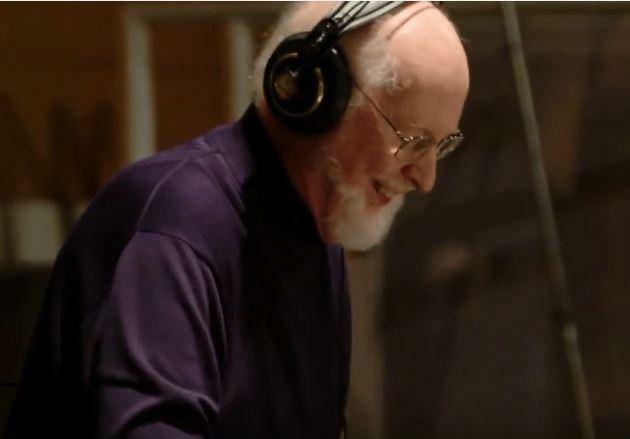 However, Star Wars had a lot of music even by those 1970s standards, so imho it was quite natural that Lucas, Williams and the editors thought to have longer stretches of silences to avoid ear fatigue in what was probably perceived as a "noisy" film. I know there are some strong critical opinions about sound/balance quality of this recording. I avoided to talk about it because I'm not uber-savvy when it comes to judge tech stuff like this. I have good ears and I think I can recognize a great recording from a bad one. In my opinion, this recording has good sound quality, even though uneven in certain spots. I'm sure it sounded much better in the Hall itself. However, I wanted to stay focused on the quality of the performance and on Dudamel's approach to the music, because that's what I felt was important to comment on. Btw, when I write this kind of op-ed pieces for the wesbite, I use the tag "Musings" to clarify these are simply my own personal thoughts, it's not musical analysis or insight into the creative process. Sorry, but that's not what Spielberg said. He never went against streaming or Netflix per se. Here's exactly what he said one year ago (from 4:25) As you can see his thoughts are very specific and refer to a much larger context and the state of studio productions and the Hollywood industry in general, it's not like he has a personal agenda against Netflix or anything else (hey, his company even produced shows for Netflix such as Five Came Back and Haunting of Hill House). Yes, it's a strong opinion and of course it's debatable as every opinion, but this idea that Spielberg suddenly turned into an evil old fellow with an agenda against a specific studio (a company seen by many as the new church of quality entertainment) to protect a dying business model is frankly ridiculous. I wish people (especially people working in the industry) would honestly stop to make judgement based on assumption read on other people's Twitter feeds. Read, research and then form your opinion and only after that you can go to your social media to spread your gospel. Yes, it is. It was performed at the Royal Festival Hall with André Previn conducting. On Jeff Eldridge's website (johnwilliams.org) there used to be the short program introduction written by Williams himself (cannot find it anymore, tho), where he speaks a bit about some Webern-like passages in the first movement, while the second movement being inspired by the playing of jazz flutist Eric Dolphy. The symphony is in three movements and lasts around 25 minutes, btw, as we discussed in the other thread. Well, the term "Sinfonietta" can be kind of slippery musical terminology, so it might very well be that the "two symphonies" sometimes referred in biographic notes are indeed the "First Symphony" and the "Sinfonietta for Winds and Percussion". In music history, the title Sinfonietta is used to refer a composition similar to a symphony, but reduced in length and size of the ensemble, or lighter in approach. However, there are full-blown composition like Janacek's Sinfonietta (probably the most famous of them all) which are absolutely comparable to a regular symphony. Gloria Cheng posted a picture on her Facebook profile yesterday with JW and ASM. 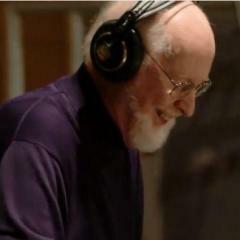 He performed accompanying piano for ASM at JW's studio at Amblin (Spielberg dropped by and posed for the pic too!). In the comments, Gloria said the album will be recorded in LA in a couple of weeks. She also said it's "20 new arrangements" (even though Mutter wrote about "15 new children"). Very much agree with pub. I think you guys are doing an extremely important work of resourcing and rediscovering of Goldsmith's oeuvre, which imho is in dire need of a true serious study and attention. So, keep up the good work! I think you nailed it perfectly, Karim. He's constantly revising things (I noticed little changes in a few pieces on the Gustavo Dudamel/LA Phil recording, btw), as this is his attitude as artist and he expressed it eloquently several times. 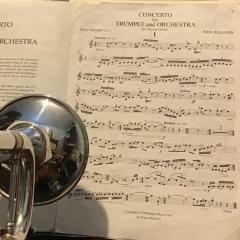 I think you're right to see this connection with Prokofiev's attitude, as I too think he's always been one of JW's heroes. About the Symphony, he planned to perform the revised Symphony in Houston, TX in 1987 (where the piece was originally premiered by his friend André Previn in 1968), but he then changed the program with some film music. It's still unknown the amount of revisions he did for this never-performed revised version, but I guess it was substantial. Still, he wasn't satisfied enough to have it performed. I very much hope he will revisit it one day, even though at this point he might feel this is something from the past he doesn't want to return to. The original version was actually available to rent through Schott Music publisher, as the work was originally published through Warner/Chappell. However, the work was withdrawn a few years ago and any performance of the work has been vetoed.